Motivating leader & highly driven entrepreneur with years of international experience in the world of digital marketing, mobile apps, technology and web development. By joining the yachting industry in 2016, he has built up the perfect skill-sets and experience to lead and manage the company Elitium. The technical specialist and leading blockchain expert with over 20 years of IT experience. He has always been on the forefront of new and innovative technology, a great example is his leading of projects on mass adoption of internet in France in 1999. Moreover, he will ensure the continuity of the technology developments of Elitium. Highly experienced financial expert with years of experience in creating international company structures and applying “out of the box” business solutions. With over 30 years of experience he will be dedicated to building the company structure and cover the financial and legal strategy in all its aspects. Highly driven professional in quantitative data analysis, strategic advisory and process management. He has been very active in the analysis and assessment of a wide range of blockchain projects and he will be dedicated to developing, executing and sustaining strategic initiatives of Elitium. Through years of experience Winston has developed the right skill sets to structure successful business development teams. 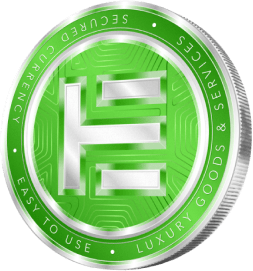 His proven track record will increase the global partner network and will therefore have a high added value to roll out the platform on the entire luxury market. Highly experienced professional with over 8 years of experience in developing websites, mobile applications and branding for large companies and start-ups in Saudi Arabia, America and Europe. He is perfectly equipped for future technical challenges with Elitium. Experienced in leading creative marketing campaigns for over 10 years, with a particular expertise leading companies into the right directions, through many of his agencies. He will be dedicated to developing the perfect marketing campaigns for Elitium with his creative passion. With a knack for breaking down complex ideas for the everyday world, he has created and pushed powerful influential content for a variety of cryptocurrency-based projects including ICOs, exchanges, news outlets, as well as personal branding for fintech professionals. A blockchain fanatic with extensive experience both managing community’s and guiding new people through the world of crypto. Will seek to answer any question, feel free to test him. Trading and Marketing are among his other expertise. Highly knowledgeable, energetic and innovative professional attitude with years of experience in IT & Network Technologies. Cedric is extremely precise and efficient when it comes to building tech projects. His skills and proactive way of working are a perfect match with the future plans and projects of Elitium. Passionately growing startups since the start of his career. 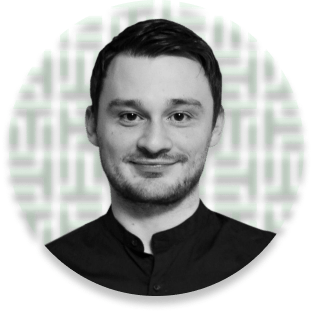 He has a wide marketing experience from managing creative campaigns to automated lead generation which makes his expertise highly valuable for Elitium. Obsessed with growth, he has helped many startups in growing their business through creative and out-of-the-box marketing strategies. Two years ago he made a shift towards blockchain organizations and he’s an excellent source of marketing expertise for Elitium. Mullitalented professional with a focus on high level innovation projects in Asia, Paul has funded and help scale a wide variety of companies and is actively involved in the regulatory discussion around DLT and crypto technology. He has a background in International investment law and EU regulatory affairs and is well equipped to guide Elitium trough the financial and regulatory landscape. Highly ambitious entrepreneur with a passion for working in the nautical sector throughout his life. As the CEO of Boatsters and growing up in a yachting family business, he’s sharing his knowledge and expertise of the yachting industry to expand global partnerships and therefore shape the future Network of Elitium. Christian is the co-founder of cryptonaut.org, an accomplished crypto entrepreneur, trader and miner. He is a renowned member of the crypto community and an active advocate of Blockchain over the past few years. He has 10 years of marketing, business development and entrepreneurial experience in various industries such as Blockchain making him an ideal advisor. International commercial lawyer with broad experience in providing business and legal advice on the structuring, negotiation, implementation and management of complex IT and telecom transactions including advice on public procurement, outsourcing, systems integration and strategic alliances. She will be very well prepared to lead Elitium in legislative activities. She is widely considered as one of the most known event hosts in the entertainment industry. She has also become a well-known personality in Hollywood, as she hosted prestigious events e.g. the Grammy Awards, the Golden Globe Awards, the Academy Awards, Super Bowl, Formula One Grand Prix, Cannes Film Festival, and the Fashion Weeks. She will be an excellent voice and connector of Elitium with the luxury community. Former director of Quintessentially the Netherlands, currently ambassador of Nexus Global and through its own company Stotsy offering luxury and unique events all over the globe. With his extensive experience he will support Elitium in developing the concierge services. With an insane passion for social media he grew from 0-8 million followers in 11 months on Instagram. Having built a program that helps hundreds of companies grow thousands of followers per month he's implementing his knowledge and expertise to strategize the social media growth of Elitium.